Women's Health Research Institute > In the News > Congratulations to WHRI recipients of the CIHR Fall 2017 Project Grant Competition! Women's Health Research Institute > Find a Researcher > Congratulations to WHRI recipients of the CIHR Fall 2017 Project Grant Competition! 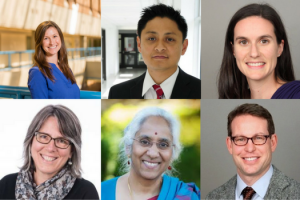 Congratulations to WHRI recipients of the CIHR Fall 2017 Project Grant Competition! WHRI is proud to announce that out of the many applicants to the CIHR Fall 2017 Project Grant Competition, six award recipients were WHRI or BCCHRI/WHRI joint investigators, with combined awards totaling over $6.08 million! The competition intends to “capture ideas with the greatest potential to advance health-related fundamental or applied knowledge, health research, health care, health systems, and/or health outcomes”. Given the highly competitive nature of the CIHR Project Schemes, this is an outstanding achievement. This year CIHR committed a $372M investment to the competition, and funded 512 grants. The overall applicant success rate was 15%, and BC’s success rate ranked highest in the country at 20%. We look forward to sharing with you more details on the individual projects in the coming months!